To get to Venice from either Venice Marco Polo Airport or Treviso airport, you have the options of taking a bus or booking a taxi to Piazzale Roma in Venice. From Marco Polo, you also have the option of taking a public boat or a water taxi to many points within Venice. Use the links below to learn more and book your tickets. Piazzale Roma is the last stop for motor vehicles approaching Venice. Hence, it is the main ground transportation hub of the city. 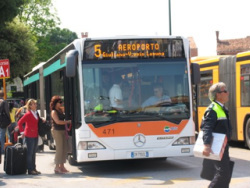 Buses between Venice and the Veneto area Airports, as well as buses from other points on the mainland, pick-up and drop-off passengers at Piazzale Roma. There are also parking garages, and car rental agencies here in case you are thinking of driving to Venice, or exploring the Veneto by car. At the Piazzale Roma boat docks, you will find vaporetti (public boats) that can take you to any stop on Venice or the outlying islands. 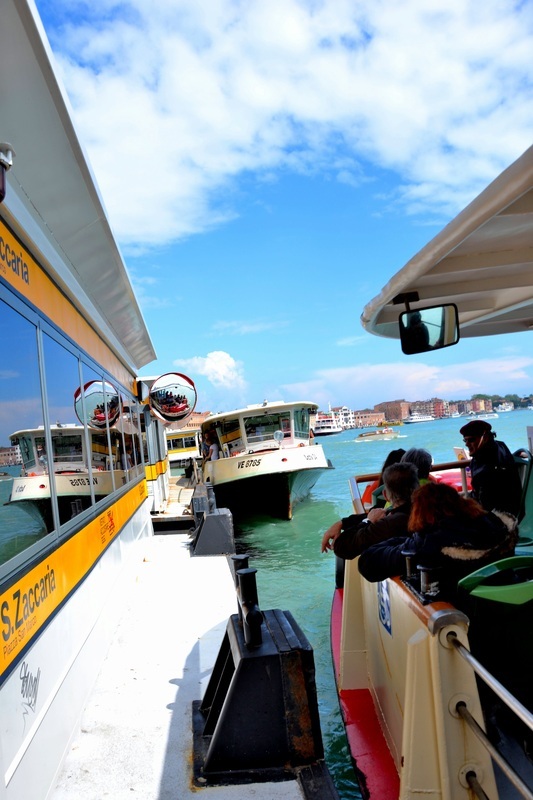 You can buy tickets from the main ticket office, or from ticket vending machines near the vaporetto docks. Venezia Santa Lucia is the main train station of Venice. The Mestre station, on the mainland, is called "Venezia Mestre". Only get off at Mestre if it is your intention to stay on the mainland. Santa Lucia is a large and busy station with trains arriving from and departing to points all over Europe. There are electronic monitors throughout the station indicating the schedules of departing and arriving trains. Ticket vending machines are available throughout the station. Whether or not you arrive or depart Venice by train, you will find that the railway station offers a huge wealth of services for tourists. You can, for example, buy city maps and guides, get hotel information and/or deposit your luggage for a few hours to explore the city unencumbered. How to Get There: The easiest way to get to Santa Lucia Train Station, particularly for those traveling with luggage, will be to take a vaporetto to the Ferrovia stop. The boat will let you off very close to the station. The vaporetti are the main means of transportation around Venice and the islands of the lagoon. Think of a vaporetto as the equivalent to a city bus or subway. Vaporetti embark from floating docks with yellow stripes and black lettering indicating the name of the stop. Lines served are indicated by numbers and letters and the schedules are posted on the platforms. There are strategically placed vaporetto stops all along the Grand Canal, along the Canale di Cannaregio, around the perimeter of the main island of Venice, on La Giudecca, and on the outlying islands. No matter where you are in Venice, you won't be more than a few minutes walk from a vaporetto stop. Tickets for the vaporetto can be purchased at the airport, in the train station, at the main ACTV office in Piazzale Roma, at the imbarcadero (boat stop), and onboard the boats. www.atvo.it For information about bus service between the airports and Piazzale Roma. ﻿www.actv.it﻿ For information about public boats serving Venice and Lagoon. www.alilaguna.it For information about boat service to and from Marco Polo Airport. www.venicewatertaxi.com To arrange transportation by private water taxi. www.veneziaunica.it To arrange to get a city pass.